Storage furniture and accessoriesÂ tend to beÂ things that you buy out of necessity rather than for the fun of decorating. That’s because most storage pieces are really, really short on style. Think: clear plastic construction and designs defined by a distinct lack of any sort of flourish. While this is fine when you’re looking for, say, a storage box to stow under the bed, it’s not ideal for pieces that will be on view in your home. If you’re in the market for pieces that have a little more personality, we’ve rounded up a few of our favorite stylish storage-minded furniture and accessories. 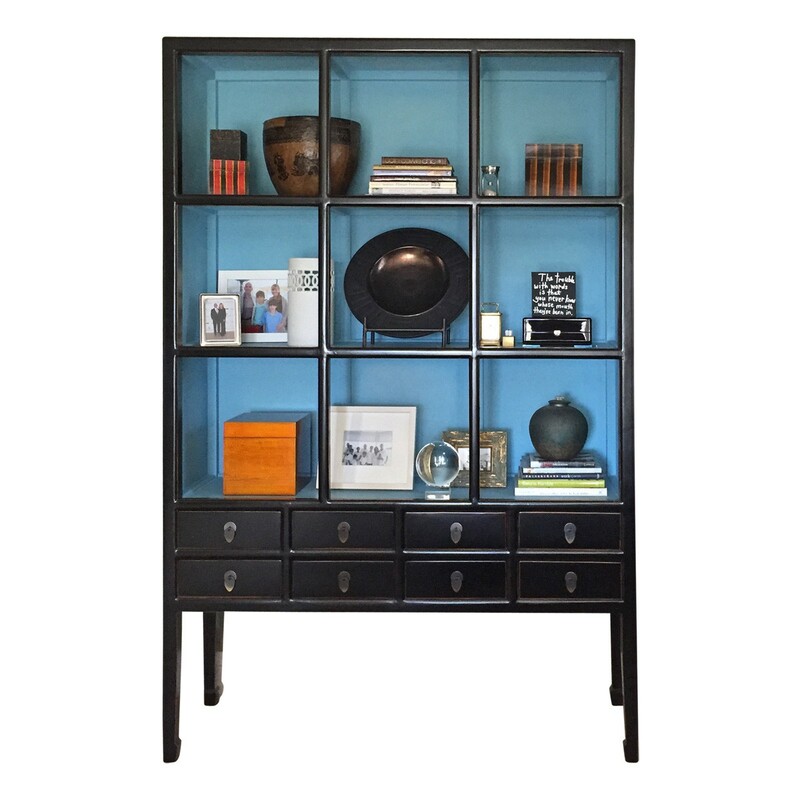 Why we love it: The blue backing contrasts against the ebony finish, making any items displayed inside pop. 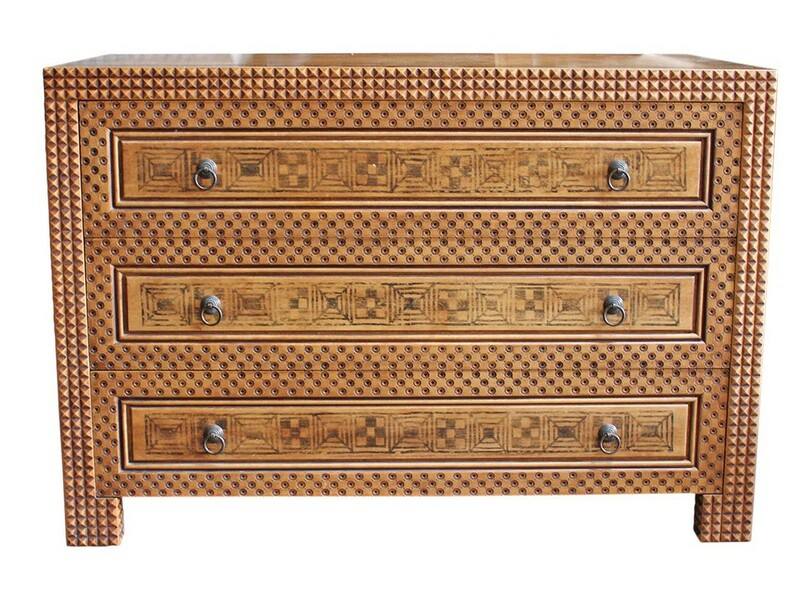 Why we love it: From the dimensional pyramid motifÂ to the exquisite pulls, this dresser has exceptional details. You can use it as bedroom storage, or you could use it in a dining room as an alternative to a buffet (and store table linens and silverware within the drawers). Why we love it: Polished nickel details stand out against the lustrous rosewood surface of this versatile cabinet. The inside has been outfitted for media equipment and has three adjustable shelves. 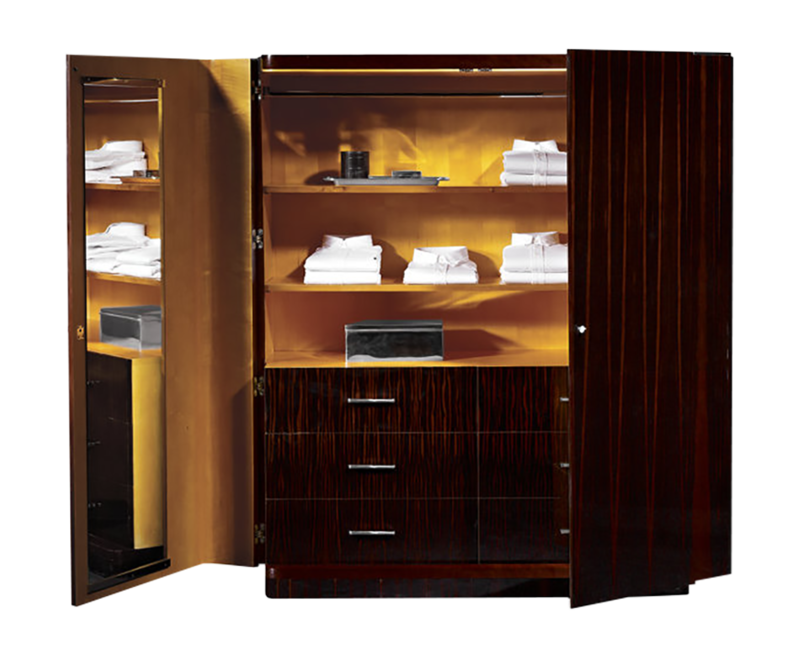 Why we love it: This elegant cabinet essentially functions as a closet. 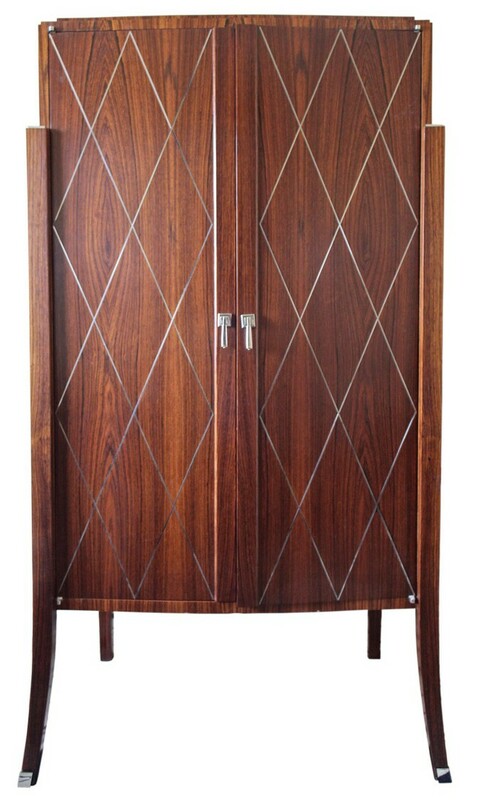 The doors open to reveal a full-length mirror, three shelves, a six-drawer dresser, plus hanging space. 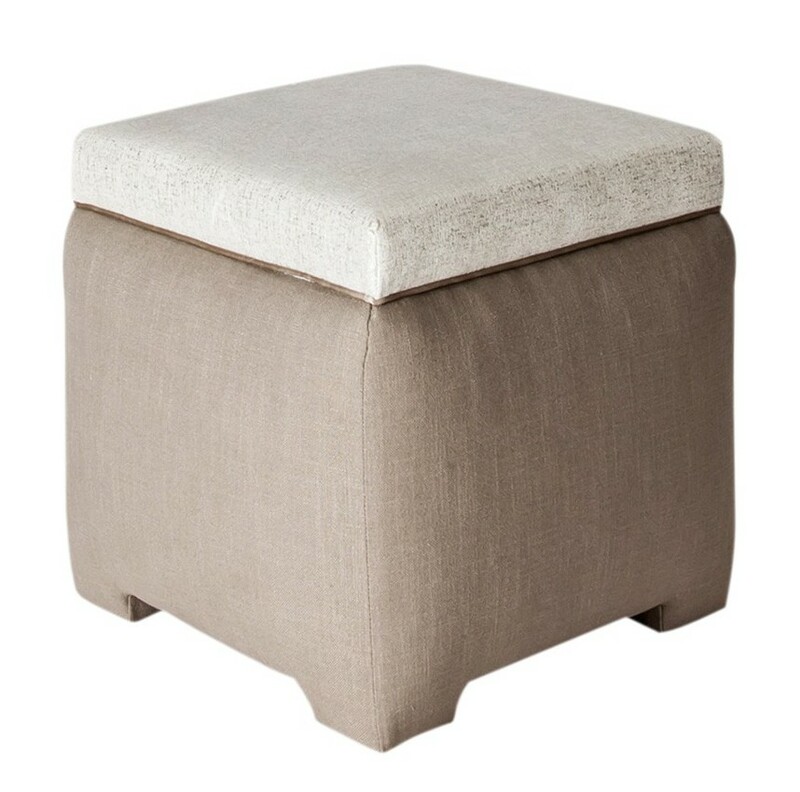 Why we love it:Â This small square pouf is covered in timeless white luminous velvet and grey linen fabrics. Satin trim affords a sense of quiet glamour. The removable top reveals a space to stow books and other small items. 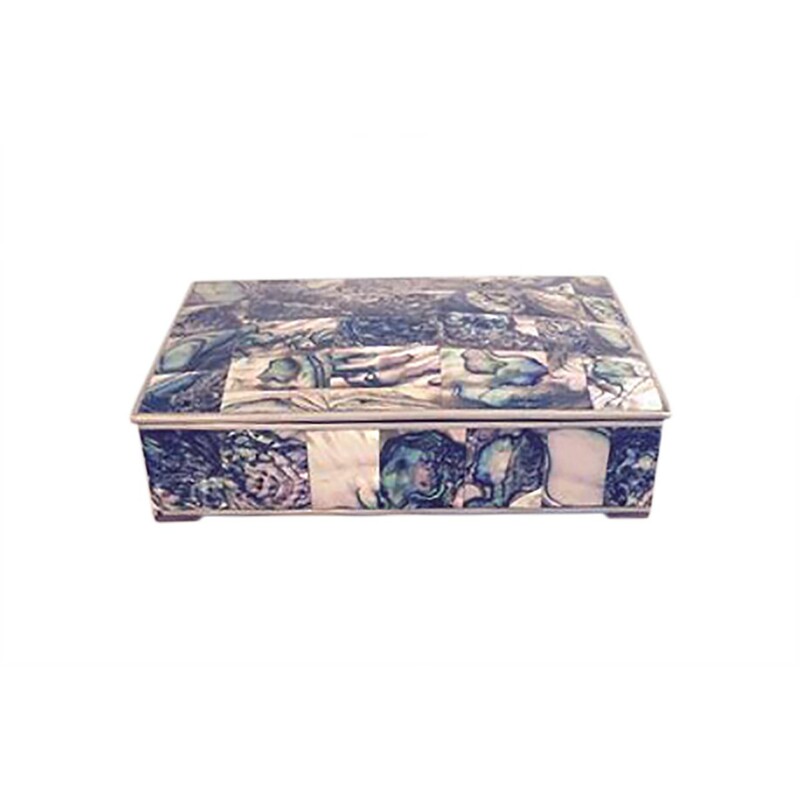 Why we love it:Â This vintage silver box dates back to the 1960sÂ and isÂ artfully covered in pieces of abalone shell. Use it on a desk to store pens, business cards, or exquisite notecards. Why we love it: This etagere provides an elegant space to display beautiful objets d’art. But honestly, even “odds and ends” (books, paperweights, bookends, etc.) look like a pulled-together display in this great piece. 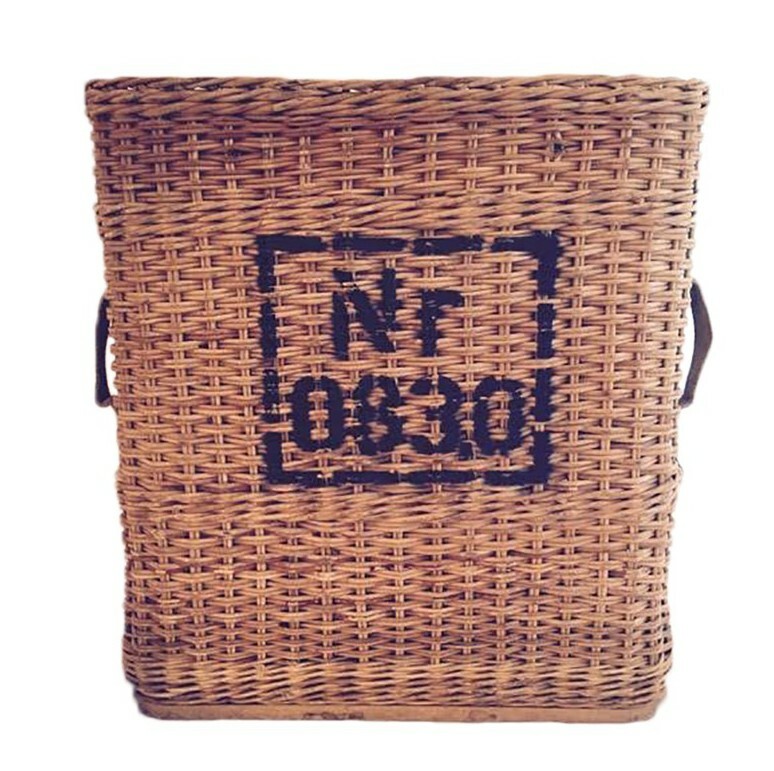 Why we love it: This basket has a unique presence and a subtle patina. It would be great for stowing spare throws and blankets.